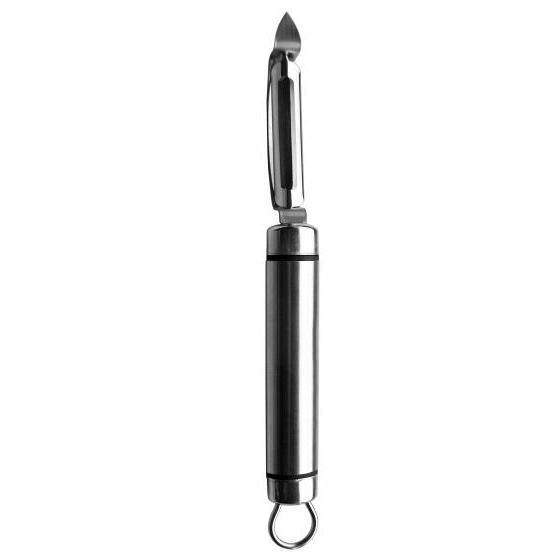 Swivel Peeler | Kitchen Tools(KEB-214) - Keywood International Inc. This swivel peeler is one of the essential kitchen tools you need. The peeler has a rotating mechanism that allows for force exerted to be adjusted according to the contact surface. This utensil is ideal for peeling fruits, vegetables, and even cheese. Made of high quality carbon stainless steel for durability. Handle end has slot for hanging when drying or not in use. Ideal for peeling fruits, vegetables, cheese, etc.